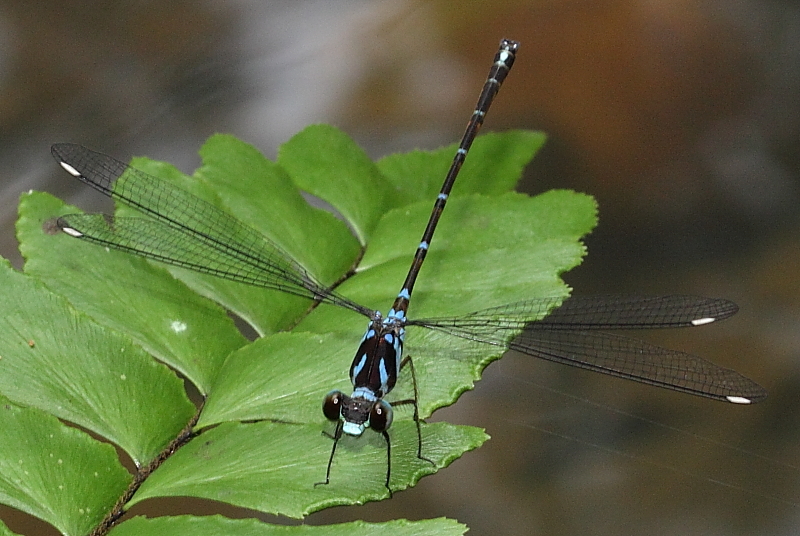 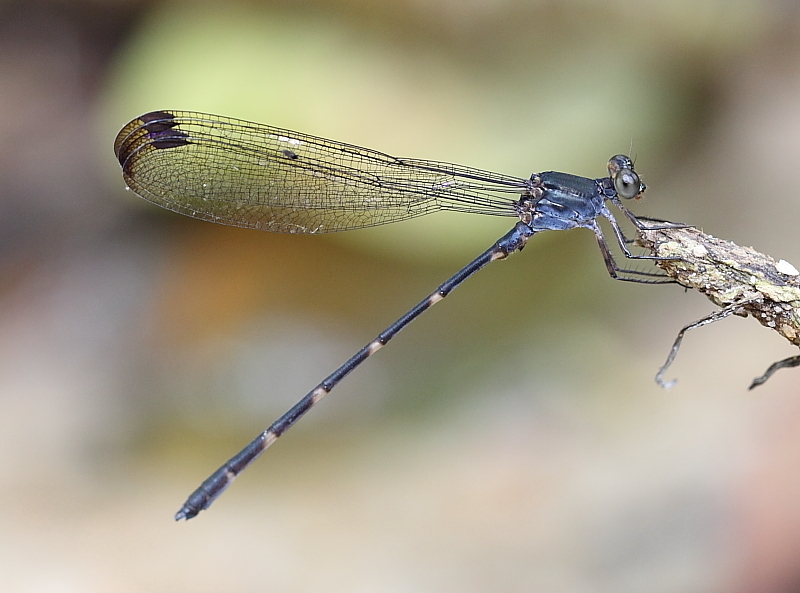 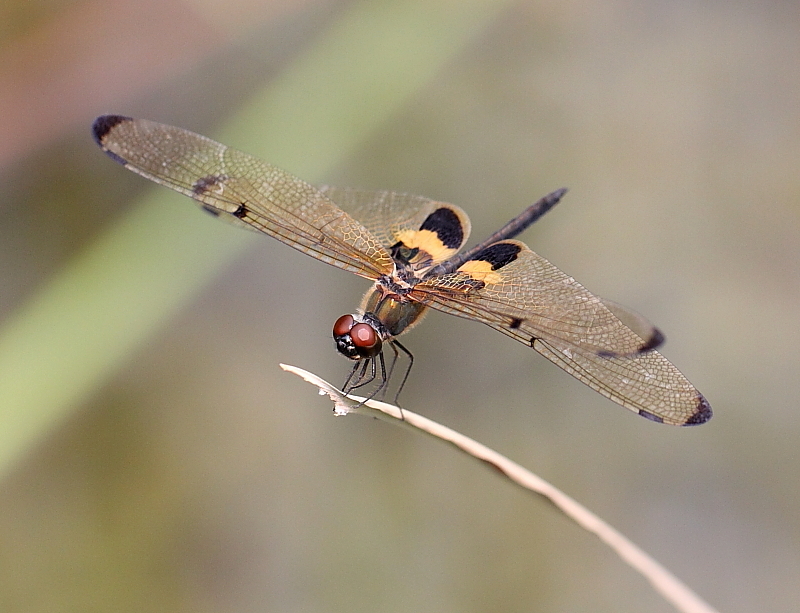 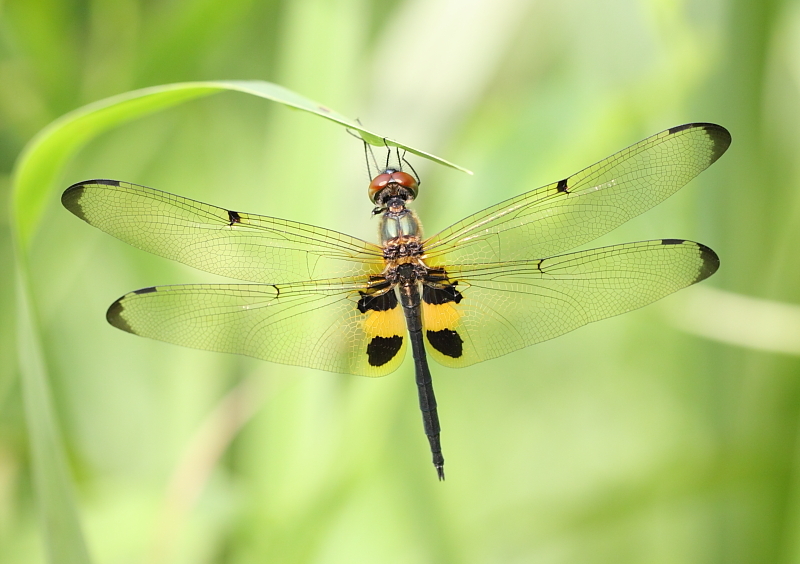 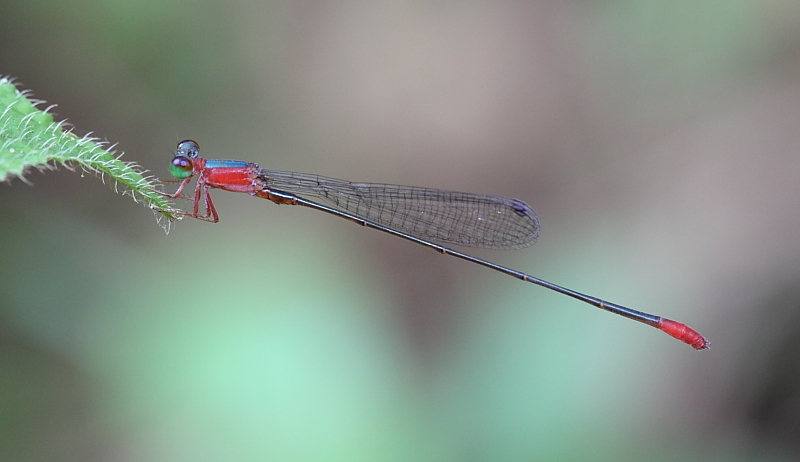 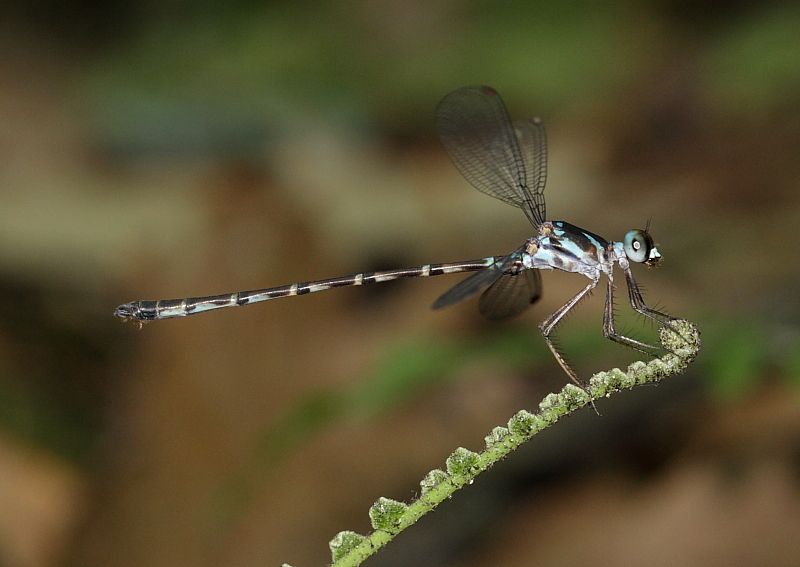 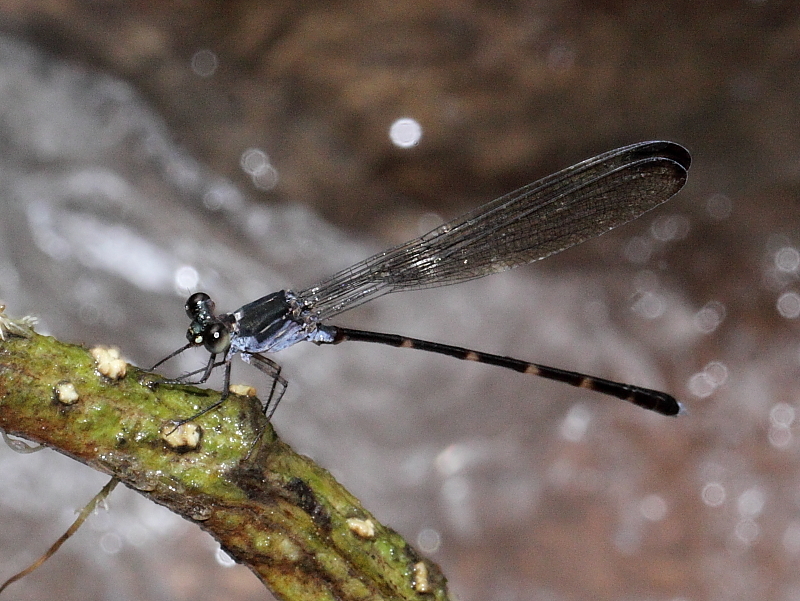 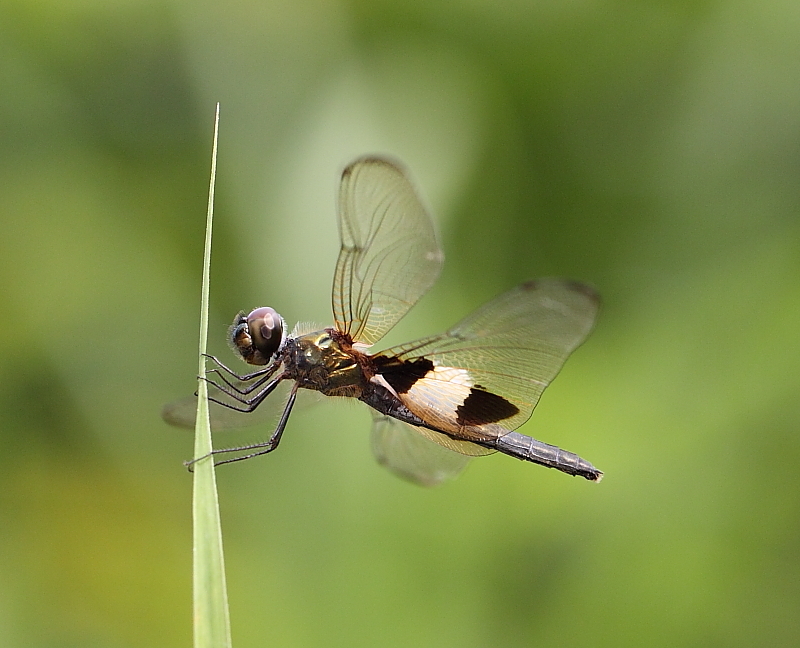 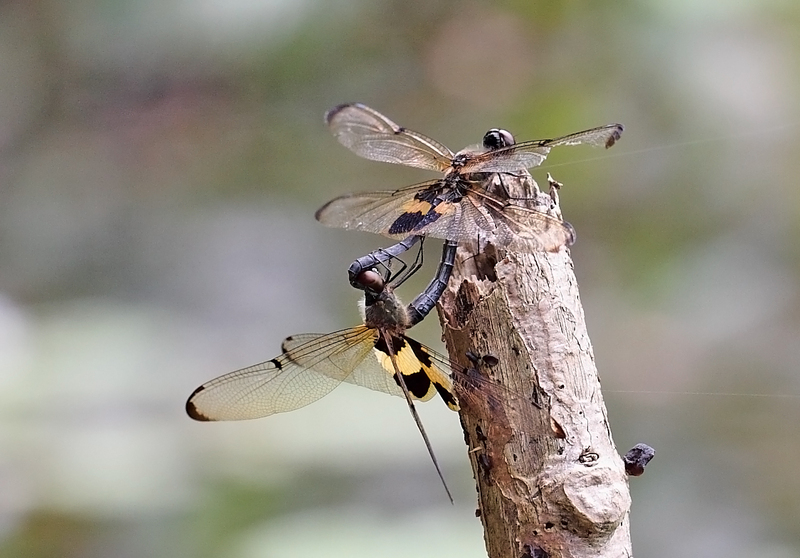 Yellow-Barred Flutterer is a very widespread and common dragonfly in Singapore, and other South East Asia regions. 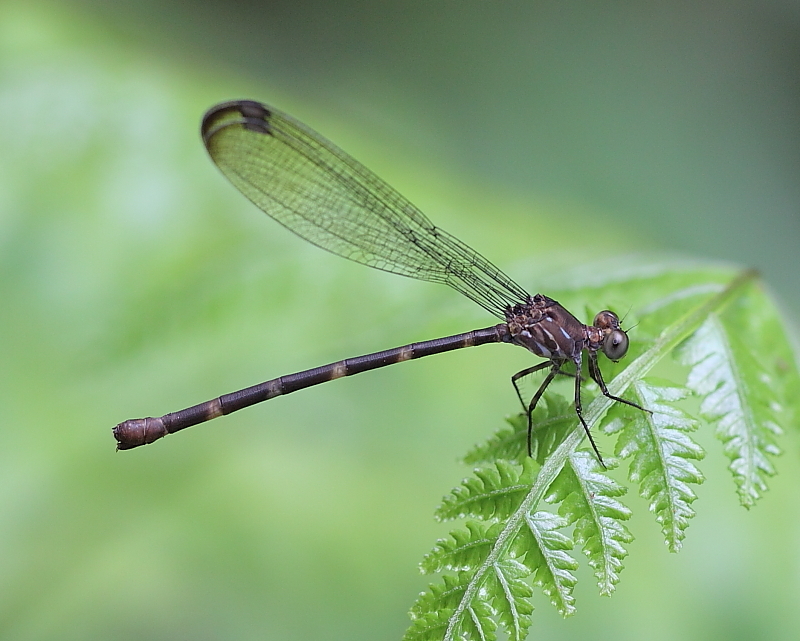 It is commonly found at marshy swampland, ponds, reservoirs, and open grasslands. 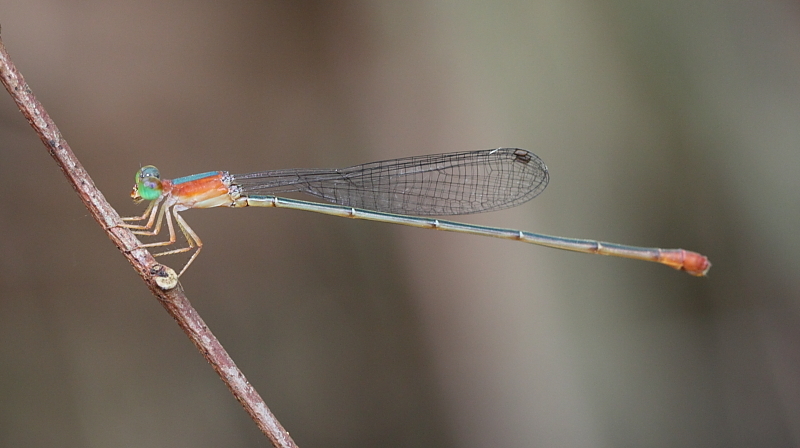 This species is unmistakeable. 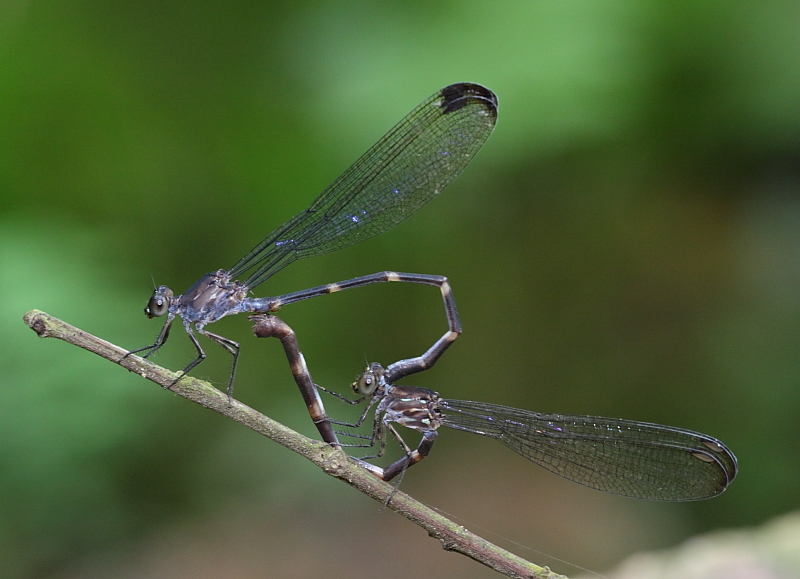 Males and females look similar. 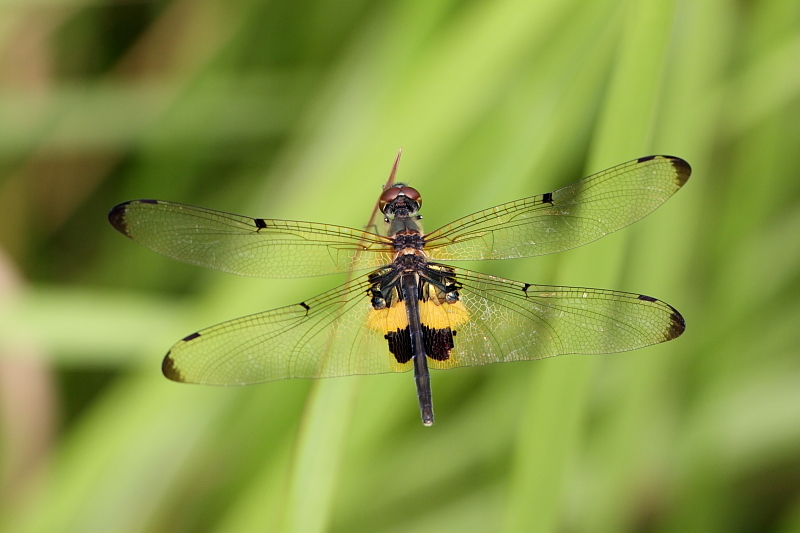 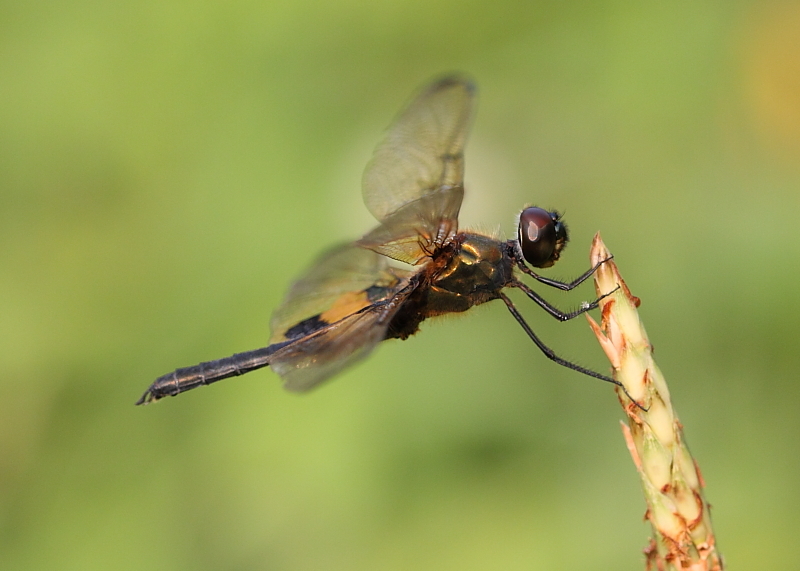 The thorax and abdomen are dark, and the hindwing base has a very distinctive barred yellow and dark brown pattern. 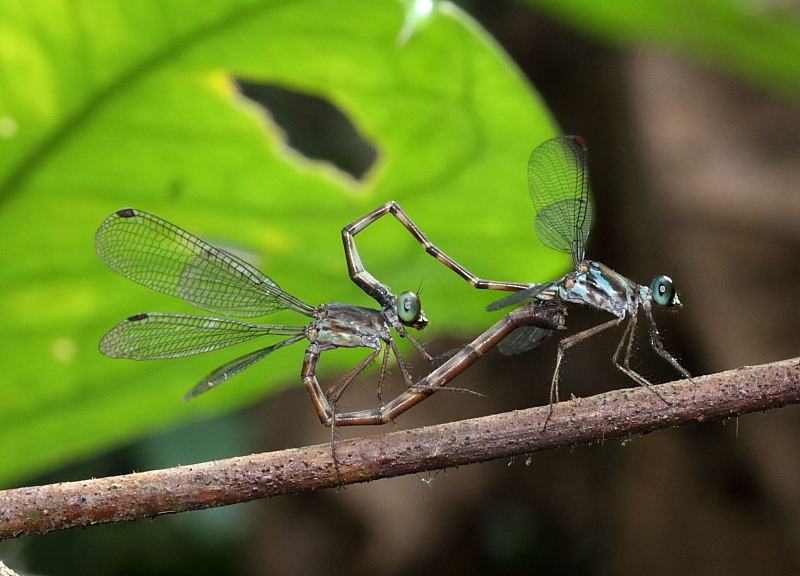 A few years ago, I have often seen this species flying in swarms especially at the vicinity of Bukit Timah Nature Reserves, but this scene is more and more uncommon nowadays. 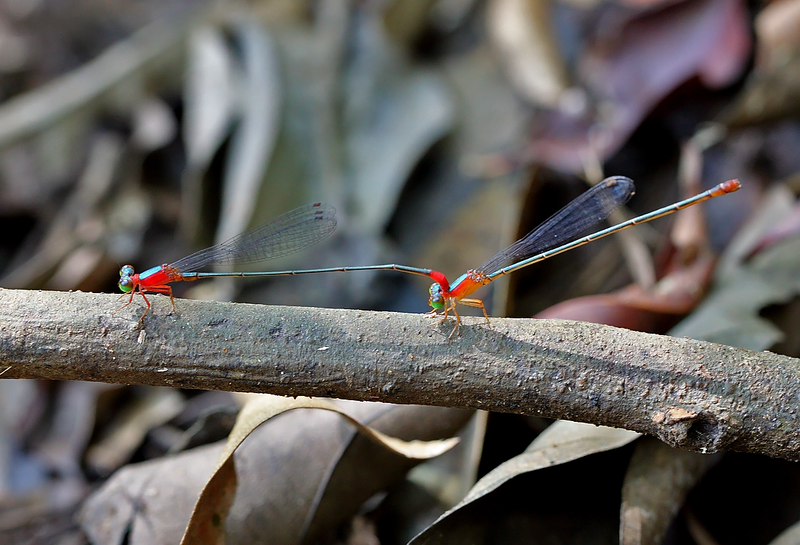 They are sun-loving species and it is a sight to see them gather in swarms, gliding in the air and feeding small insects.